Finland: Turkish Embassy employees suspected of organizing illegal entry – hundreds of visas are being investigated……. – The Tundra Tabloids……. Finland: Turkish Embassy employees suspected of organizing illegal entry – hundreds of visas are being investigated……. The investigation originated from the observations of the Finnish border guards. THE only detainee who is suspected of organizing ILLEGAL entry from the Finnish Embassy in Ankara is a Turkish national. He is imprisoned in Finland. 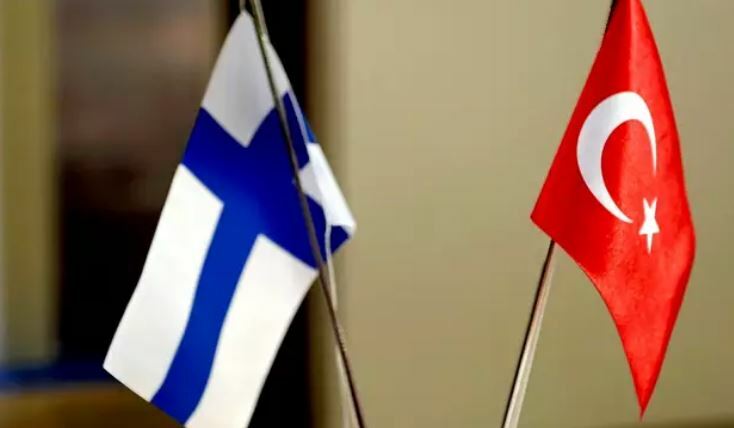 Three employees of the Ankara Embassy in Finland are suspected of issuing visas to Turkish citizens on wrong grounds. All three are staff employed by the Embassy. The suspects include Finnish citizens, says General Criminal Commissioner Mika Ihaksinen of Keskusrikospoliisi. It is suspected that a criminal organization is involved in organizing illegal entry and abusive abuse of office. – The abusive misuse of the position is based on the fact that the person has benefited from it, says Ihaksinen. THE SUSPICIONS are that incorrect information on the purpose of the journey was given for visa applications. All visas issued by the Embassy for a certain period of time will be examined. For investigative reasons, the person does not reveal the length of the period, but it is about hundreds of visas. According to him, this does not necessarily mean that there would be hundreds of visas issued wrongly. Visas can move around the Schengen area. Not all visa holders have come to Finland at all. – Talking about hundreds of visas. It can take many forms, it goes without saying. However, it is quite reasonable to assume that many of these people have been aiming for a visa in Europe and certainly many people who have come here have applied for asylum, says Research Director, Lieutenant Antti Leskelä of the Coast Guard of the Gulf of Finland. The beneficiaries of the visa are not suspected of having committed a crime, even if they have given false information in the application. – Their role is that they have used a visa to travel. Our investigation does not start from it and does not aim to be suspected of a crime. Inaccurate information on a visa application usually results in the visa being canceled and the person removed from the country. This is not the case if a person has applied for asylum. Do you see that this would involve any security threat? – There is no information in the investigation that people who have been subjected to a terrorist or other special security concern have been issued a visa. It can be said immediately. OFFENSES related to the organization of ILLEGAL entry are investigated by the Border Guard and possible offenses by the central crime police. The imprisoned person is suspected, for probable reasons, of serious illegal entry. The investigation originated from the basic work of Finnish border guards. – Control works, Leskelä praises. Border guards carry out border checks on arrivals and departures, including documentary checks and entry checks. They have been caught up in the discrepancies in human flow, Leskelä describes. The suspicions were originally reported by MTV . Previous Post Previous Post Lebanon: 12 Islamonazis of Iran’s Revolutionary Guard Corps killed as IDF jets strike Iranian/Syrian military targets……. Next Post Next Post Daniel Greenfield: “Greek Book” author attacked for telling the truth about Muslim 9/11 celebrations…….